It’s been a good two years since Dolby announced its new multi-channel technology, Atmos, and since the first cinema operator began to upgrade accordingly. With now over 300 cinemas worldwide fitted with Dolby Atmos systems, the global market leader in surround sound is now preparing to conquer the living room and home theatre. 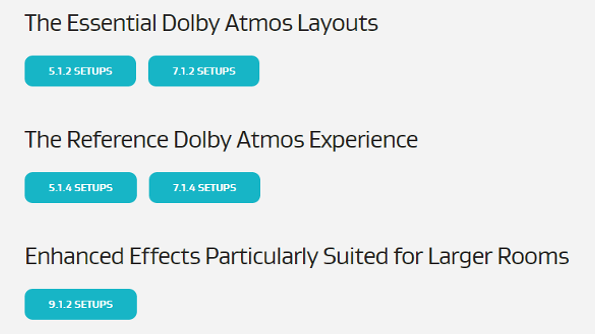 In keeping with the market launch of Dolby Atmos Consumer, we have put together the relevant facts for you. The idea behind Dolby Atmos is essentially simple: occurring through a more precise localization of sound events whilst being enabled by greater flexibility in the positioning and movement of these events throughout the soundscape. As such the established, existing technology of multi-channel surround sound has been raised to a new level. The sophisticated interaction of components from the motherboard, through the AV receiver, to the speaker set-up provides a gain in realism of the sound without overwhelming the user with with impossible tasks of configuration, and this really could not be overstated. Much more unnecessary is the quandry that existing surround sound mixers only ever know one “right” meticulously constructed speaker installation. This will be examined in first let us take the function of Dolby Atmos closer look. An essential component of the new system is the introduction of a further spatial dimension. While the sound was previously placed around the spectators, Dolby Atmos intergrates ceiling speakers into the design of the soundscape. Accompanied by a change in the handling of the individual audio tracks, Dolby now refers to tracks as ‘audio objects’. They include not only the particulars of sound information i.e. voice recordings, music and sound effects but also additional meta-data to their ‘destination’ or excact positioning in the room and, if specfied, even on movement patterns. In this way, as the three-dimensional sound space is spanned, in the sound events can be much more realistically and dynamically can be represented. An obvious example would be an ascending aircraft: the front shoots away over the heads of those down below. The noise of the turbines would be analogus only audible from the front position during take-off, and then to the spectators and finally to those seated at the rear. Consequently, the number of ceiling speakers is simply appended to the previous configuration of the surround system, it assumes by default two or four overhead speakers. A legitimate concern is that is that a ceiling installation may be undesirable, too expensive or simply not feasible. For this problem there are two possible solutions. Firstly, some special speaker makes are equipped with additional directional speakers to produce the sound from above by way of ceiling reverberations. Next you can supplement existing speakers to be equipped with suitable plug-ins. Remeber that it’s entirely possible to build a Dolby Atmos capable system in your own home without renovations. As technological control centre ensures the optimum interaction of sound mixing in relation to the speaker arrangement, which finally informs the AV receiver. Here the meta-information of the audio objects are interpreted and output signals then adapted to the available surround setup. 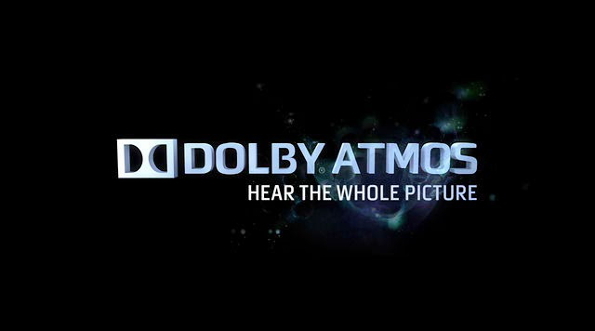 What initially sounds unimpressive, is one of the key innovations of Dolby Atmos and solves the above-mentioned problem of the “right” speaker setups: While previous 5.1 or 7.1 mixes were fixed tailored to each appropriate number of speakers and posing and resolved accordingly only there, now provides the software on the AV receiver that the specifications from the metadata on the individually existing speaker combination be implemented optimally. In this way, the flexibility in terms of equipment and of equipment and installation of its own surround system is significantly increased. The only downer is the fact that the latest generation of AV Receiver Dolby Atmos will only capable of a limited amount of updates. For example, the Denon has a code with the AVR-X4100 sowie dem AVR-X5200 two devices in the program code, where the new surround standard is already implemented. Yamaha on the other hand is one of these exceptions and published these days an appropriate firmware update for the recent Yamaha models RX-A2040 und RX-A3040. If you are thinking to date on a new purchase, it is future proof to invest, because after many smaller improvements now a real generation change is completed and the new AV receiver all major standards of 4K, HDMI 2.0 In our view, a convenient time, to to extensive integration options via WiFi and even support Dolby Atmos. Incidentally, the backward compatibility is of course always get so Blu-ray discs with conventional surround mix can also be easily reproduced. Also with regard to the playback equipment is no reason for concern. Source side is already enough a HDMI 1.4 interface for transferring audio data. 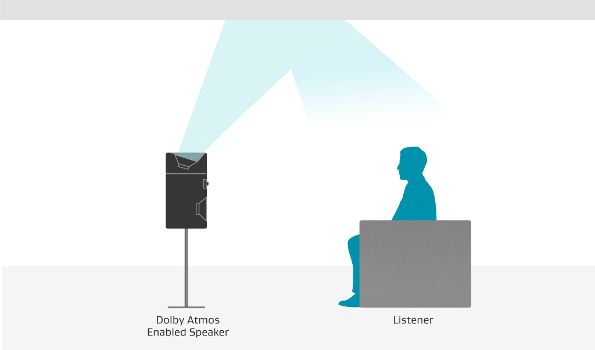 How to get even with elderly Blu-ray players in the enjoyment of Dolby Atmos. 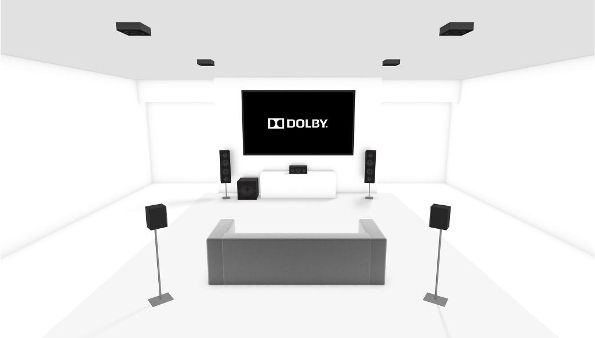 Finally, a note of current events: The Lange Nacht Der Ohren is on Saturday, November 1, 2014, should you be interested in attending our home theatre demonstration of a Dolby Atmos demonstration attend. For more information, see here.